Lucid Group has picked up the inaugural PMEA Support Agency of the Year award, which was developed to recognise the best agency work in support of pharma clients. The medical education specialists, who collected the award at the PMEA 2016 ceremony last night, were praised by the PMEA judges for their “great strategy, innovative developments and effective motivation of their own team”. The agency cleared competition from Aurora Healthcare Communications, Bedrock Healthcare Communications, Complete HealthVizion and GCI Health to take the award, as well as Uptake Strategies, who received a high commendation. Lucid was also honoured for its work in support of AbbVie's 'PEER: Psoriasis Expert Exchange ForRum', which took home the award for Excellence in Physicians/Healthcare Provider Support Programmes. The judges said the platform, designed to change global clinical behaviour to improve the standard of care in psoriatic disease, “stands out from the many support programmes already out there”. In addition, Lucid also received a high commendation for its work with UCEIS Group, creating the 'Ulcerative Colitis Endoscopic Index of Severity Online Tool'. Put forward for the inVentiv Health Award for Excellence in Healthcare Collaboration and Partnerships, the pro-bono project was recognised as a “demonstration of how industry and agency can bring their skills to the table in partnership with healthcare providers to improve innovative initiatives”. There was further recognition for the agency in the Innovation category, where its 'Advance Outcomes - An Innovative Model of Medical Education to Achieve Improved, Measurable Healthcare and Patient Outcomes' initiative took home a highly commended certificate. 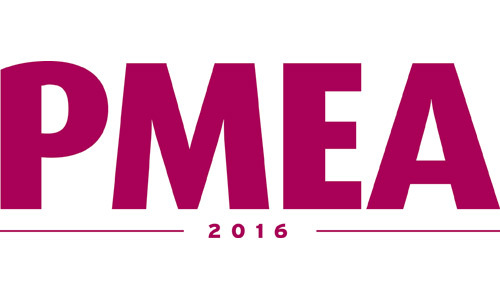 The PMEA programme, run by PMLiVE publisher the PMGroup, is specifically designed to recognise and commend excellence in improving patient outcomes.